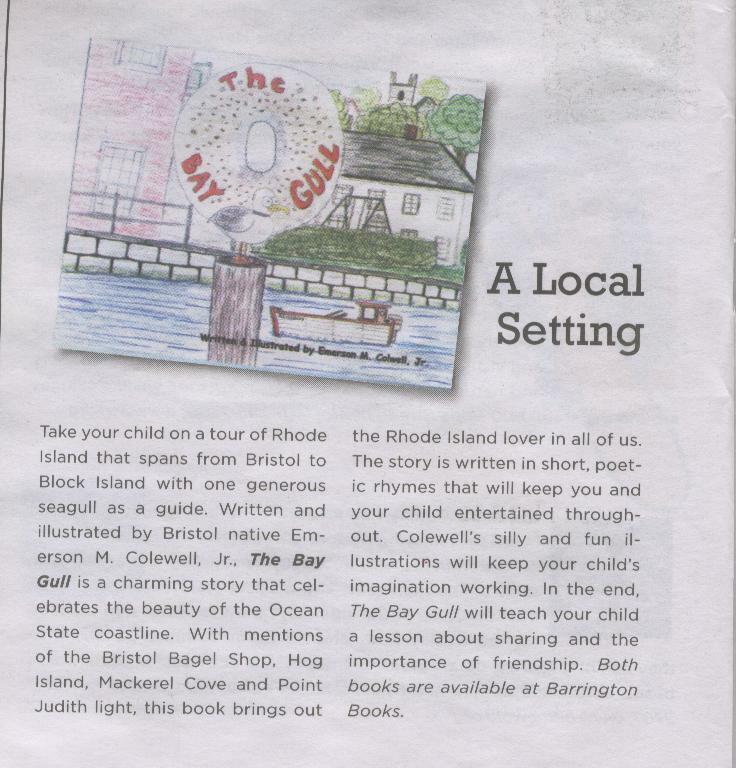 On page 24, Julie Sickel reviewed two books by local authors, Bun, Onion, Burger by Peter Mandel and The Bay Gull by Emerson Colwell. What an honor to be recognized with Mr. Mandel, adventure journalist and author of nine children's books. For those of you who are unable to pick up your own copy, you can check out the review here! Special thanks to Julie Sickel for the great review, The Bay's Editor Julie Tremaine for requesting a copy of the book when we were in town last March and the entire staff at The Bay for your hard work every month! You can find them on Facebook - search "Bay Mag" and send a friend request.